It's just been a few weeks since one cricketing mega event concluded in the form of the Cricket World Cup, and it is time for yet another bonanza for cricket fanatics with action at the eighth edition of the Pepsi Indian Premier League commencing on 8th April, 2015. You talk of glamour, glitz and some exciting cricketing action, its all here at the IPL. Based on the shortest format of the game and the most watched Twenty20 league around the world is all set to start with eight teams fighting for the title. Expanding over a month and a half and played over at 12 venues, each team in the tournament will play two matches with the seven opponent teams in the league stage before the top four teams qualify for the playoffs. Leading into the all energetic tournament here is an insight into all the eight teams who will be battling it out this season. The two time title winners, as well as the defending champions, the KKR team has almost undergone a revolution in the past three years. After failing in the initial editions, bringing the star cricketer Gautam Gambhir as a skipper into the side has borne fruits for the franchise. This edition their squad seems to be a well balanced unit who are eager to defend their title. The key Indian players in the side include the likes of Robin Uthappa, Manish Pandey and Yusuf Pathan to strengthen the batting unit up and the spin of Piyush Chawla as well as the speed of the recent star bowler for India, Umesh Yadav will provide the needed pump to the bowling department. Indian young guns, Suryakumar Yadav and Kuldeep Yadav can prove to be handy as the tournament progresses. The new buy of the franchise, the uncapped and less heard about, Indian mystery spinner KC Cariappa will be the surprise factor. He will be in the limelight for his purchase value of a Rs,2.4 Crore which was 24 times his base price.Coming to their foreign assets, Sunil Narine, the West Indian spinner in the past few years has proved to be instrumental for the team, and his clearing of tests regarding his bowling action will boost up the unit. The speed of South African Morne Morkel and Aussie Pat Cummins will boost up their bowling line up. The all round role of Ryan ten Doeschate, Shakib al Hasan and the new buys Johan Botha and Azhar Mahmood will be quite significant. The only thing that the Knights need to work on is the crumbling of their batting in crunch situations due to which they have lost easy matches. Otherwise they look quite strong, the only question is can they repeat their magic and defend their title? Will KKR repeat their magic and defend their title? After making it big in the first edition, the Kings XI went for a slump year after year but appointing Sanjay Bangar as the head coach and picking up some exciting players before the 2014 season proved to be a masterstroke. They had an emphatic last edition and seemed to be invincible but ended as runner ups. Captained by George Bailey the team consists of a bunch of absolute match winners. Their recent buy of Indian batsman Murali Vijay and retaining Manan Vohra, Virender Sehwag and keeper batsman Wridhiman Saha along with foreign heavy weights Shaun Marsh, Glenn Maxwell and David Miller has resulted in a dream batting unit. The presence of the swashbuckling batsman Glenn Maxwell allowed the team to even chase down targets as difficult as 200 plus very easily the previous edition. In Rishi Dhawan, Axar Patel and Thisara Perera the franchise has some great all rounder options. Coming to their bowling unit, it looks quite decent with a mix of the speed of Mitchell Johnson, Beuran Hendricks and the medium pace of Sandeep Shrama. Leg spinner, Karanveer Singh along with Axar Patel and part timer Maxwell gives the team some choice of spin. Having done almost everything right last season but still losing a closely fought final, the Kings will desperately want to clinch the trophy this season but all depends on whether the brilliant team on paper converts it into strong on-field action. 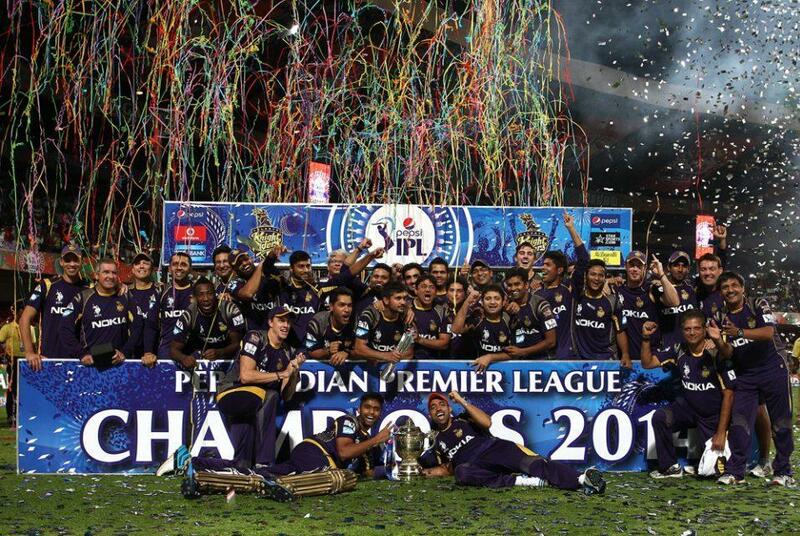 IPL Best: 2014 runner ups. 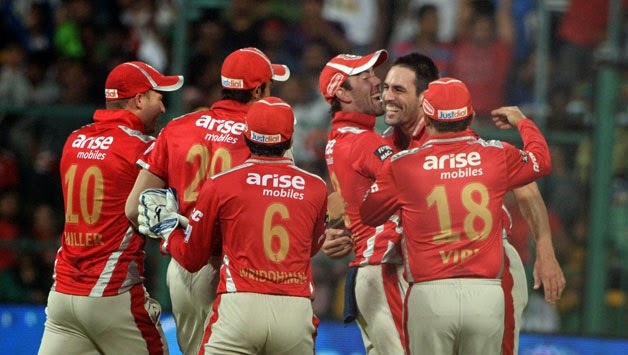 Can the KXIP cinch their maiden title? 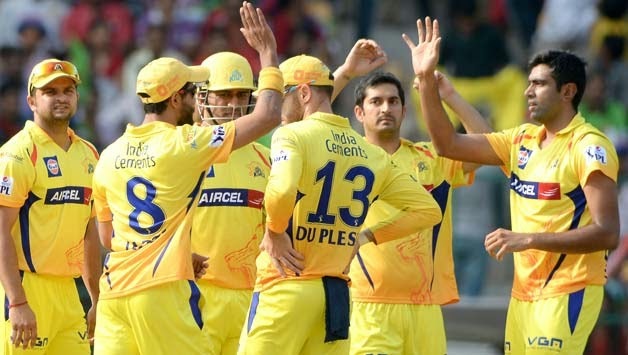 Having won the title twice in succession, the Super Kings is one of those teams who have been the favorites since the inaugural edition because of their consistency. They have a rich history of some great performances and why not, they have the global favourite MS Dhoni as their skipper. Not only is the presence of Dhoni a high for the franchise but also a mix of some of the finest players from all over the world strengthens the squad. The highest run scorer in the IPL in the form of Suresh Raina along with Faf du Plessis, Dwayne Smith and Brendon McCullum form the core of their batting. Purchasing the Australian great Mike Hussey after releasing him last year has added some more power to the already strong batting. They have multiple all round options with the presence of Dwayne Bravo, Ravindra Jadeja, Baba Aparajith and the new addition of Irfan Pathan. Even their bowling unit does not lack in terms of talent. The pacers Ashish Nehra, Mohit Sharma and the new addition of speedsters Kyle Abbot and Matt Henry gives the team multiple options. Among the specialist spinners there are numerous players with the likes of R Ashwin, Samuel Badree and Rahul Sharma who made it into the squad in this years auction. No doubt they are a balanced side but their experience of handling pressure in the knockout stages is an added advantage. Can they end the wait of their fans this year by reclaiming the title after 2011? Its been four years since CSK claimed the trophy. Is it their year? One of the most popular and most watched teams in the League, the Mumbai Indians this edition would look to do a repeat of 2013 when they successfully triumphed and were crowned as champions. The team has always been a star studded one, Sachin Tendulkar to be the finest example, and at the same time also a consistent one having made it to the playoffs each year since 2010. The captain Rohit Sharma is the man shouldering the responsibility of the batting with Lendl Simmons, Corey Anderson, Aditya Tare and new buys Aaron Finch, Unmukt Chand and Parthiv Patel providing the needed stability. The West Indian all rounder Keiron Pollard has been a regular feature in the Mumbai side and has proved to be a great asset with his excellent fielding. The lethal fast bowler Lasith Malinga leading the pace attack has Josh Hazlewood, Mitchell McClenaghan and Indian pacers Jasprit Bumrah and Abhimanyu Mithun to complement him. Greatest of his times Harbhajan Singh along with Pragyan Ojha add the spin to the bowling attack needed on the Indian tracks. One may feel that they lack the required balance but with Ricky Ponting guiding them and some star players, they can't be written off. Are the Mumbai Indians all set to repeat 2013? The Royals have been the underdogs in this league since its inception. They won the inaugural edition of the IPL in 2008 with quite an underrated team and have always been a bunch known for their fighting spirit. Regardless of all the off-field controversies the Royals have been hurled in the recent times, they have a well poised squad to play with this edition. The franchise has retained as many as 19 players from their last season squad and consist of players who have established themselves at the international level. The batting includes names of stars Ajinkya Rahane, Steve Smith, emerging young guns Sanju Samson and Karun Nair and are headed by a well experienced skipper in the form of Shane Watson. All rounders James Faulkner, Stuart Binny and Rajat Bhatia can contribute with the bat down the order and can prove to be great with the ball too on their given day. The 42-year old Pravin Tambe who had a golden season in 2013, is one of the greatest finds of the team and gives them an excellent spin option. As far as pacers are concerned they possess the young Indian Dhawal Kulkarni, Tim Southee who had a great World Cup recently and their new buy this auction Chris Morris, comes as another strong option for the unit. The only thing that might become a cause of worry as the tournament pans out on the slow Indian tracks would be the lack of a specialist spinner except for Tambe. Mentored by the Indian legend Rahul Dravid, the Rajasthan Royals look good to go, but they need to play up to their potential if they want to give their fans something to cheer for this year. Will Steve Smith make a difference to the Royals? With a new edition of the IPL beginning, the Sunrisers have a yet another new captain in the name of David Warner, who is to lead a rebuilt side. Ahead of the eighth edition, the franchise has roped in some big cricketers in the player auction. In the present squad, Shikhar Dhawan and David Warner along with new appointments Kane Williamson, Eoin Morgan and Kevin Pietersen constitute the fire power of the batting unit. Amongst the Indian batsman names of KL Rahul, keeper-batsman Naman Ojha and new buys Laxmi Ratan Shukla and Hanuman Vihari are present. The belligerent fast bowler Dale Steyn leads the pace attack with Ishant Sharma, Bhuvneshwar Kumar and new recruits Praveen Kumar and New Zealander Trent Boult who was the joint highest wicket taker with Starc in this World Cup, to complement him. In the Jammu and Kashmir lad Parvez Rasool and leggie Karn Sharma they have two potential spin options. The Australian Moises Henriques and Ravi Bopara who plays for England, give the men in orange some flexible all round options. Leading into the contest, the Sunrisers might not be the favourites but with a think tank constituting VVS Laxman, Kris Srikkanth and the newly appointed Sri Lankan great Muttiah Muralitharan they are definitely the dark horses for the league. They would want to get rid of their inconsistency due to which they could not qualify the previous season. With such a great supporting staff headed by Tom Moody, and some fiesty and promising players they would not hesitate from fancying their chances for making it big this summer. Will the Sunrisers rise up to the occasion? The Royal Challangers since they very beginning have had star studded team with a lot of fire power when judged from the names on the paper and also have been one of the most popular teams throughout. However they have not lived up to the expectations at least in the past three seasons. This year they have a squad that is quite a balanced one with a mix of some big names and promising youngsters. Headed by the remarkable batsman Virat Kohli, their batting line up boasts of match winners like AB de Villiers, Chris Gayle and Rilee Rossouw. Their newly recruited batsman comprise, Dinesh Karthik who was bought for a whooping amount, along with Manvinder Bisla, young gun Mandeep Singh, Subranium Badrinath and the emerging 17-year old Indian Sarfarz Khan. While they are thriving with some quality batsman the bowling department is no behind. They have Mitchell Strac who had a fantastic World Cup and the Kiwi speedster Adam Milne.However both are to miss the first few matches due to injuries. In their absence there is this fiery Indian bowler Varun Aaron who had a brilliant domestic season, Australian pacer Sean Abbot and Ashok Dinda. Yuzvendra Chahal from Haryana who had a great last season for the Challengers along with Iqbal Abdulla will provide the needed spin. Appointing the West Indian Darren Sammy has given them an excellent all round option. If they really want to give their fans something to cheer about this year, they will need to forgo their complacency and address all those problem which has kept them back from being the best because they do not lack in terms of quality and fire power. IPL Best: 2009 & 2011 finalists. Will the big guns fire for RCB? The first three editions of the IPL for the Daredevils were 'so near yet so far' but since the fourth season, despite fielding star players and making many changes in the side, their performance has continued to be dismal. This year too the franchise has given a fresh look to the side with the hope to turn the tables. After the move of appointing Kevin Pietersen as the captain failed, last season, this time they have appointed the South African all-rounder JP Duminy as the skipper, who had been in decent touch with both the bat and ball in the recently concluded World cup. 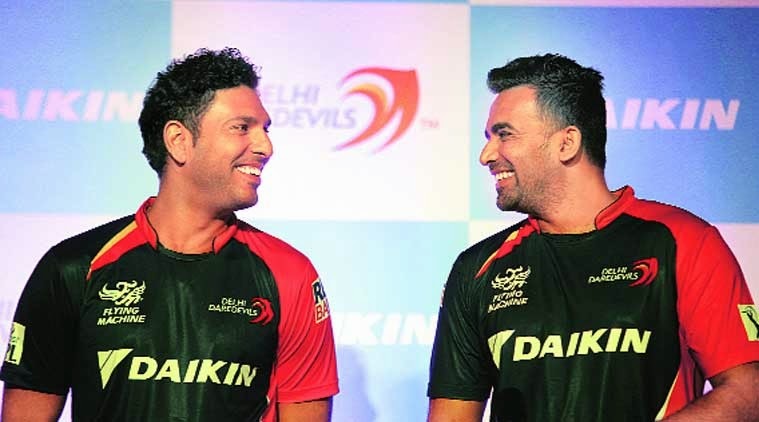 Retaining only 11 of the 25 players, the Daredevils went for the highest bid of Rs.16 crore for Yuvraj Singh. Their batting line up includes names of Quinton de Kock, Manoj Tiwary, Kedhar Jadhav, Saurabh Tiwary and Yuvraj Singh. They have quality all rounders in Albie Morkel, the Sri Lankan Angelo Matthews who has been in blazing form off late, Coming to their bowling unit they have brought in Zaheer Khan in the auctions this year, who will be well complemented by Mohammed Shami who made a statement in the World Cup recently , the Australian Gurinder Sandhu and the Indian lad Jaydev Unadkat. Last years most successful bowler for the Daredevils, Imran Tahir could be the key for his team with his spin on the Indian tracks along with Shahbaz Nadeem and leggie Amit Mishra. While they look an ominous side on paper, the Delhi Daredevils need to execute their strategies well. If they do so and the star players play the way they are expected of, then they can surely make it to the top four. IPL Best: 2008, 2009 Semi-Finalists. Will Yuvraj Singh bring some luck for the Daredevils? Well, with just a few days left it's time you embrace yourself for yet another edition of IPL which promises to be nothing short of some ecstatic cricketing action from players all over the world. Leading into the tournament all teams boast of balanced and power packed squads, so decide your favourites and get ready to cheer for them. Eight teams, one and a half month of non stop cricket, nail biting matches and one cup of glory. May the best team triumph! Stay tuned with TheSportMatrix throughout the Indian Premier League for match reports and extensive coverage. 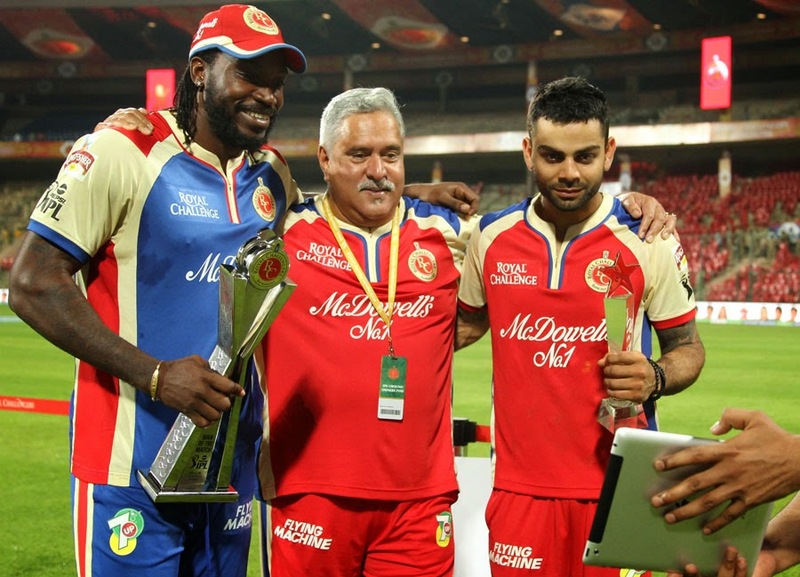 Team-by-team previews and a full breakdown for the 8th edition of the Indian Premier League.